"A lot of voices. A lot of seeing things. Paranoia. Those kinds of symptoms coming up, fully blown, when I was age 25," White said. White didn't understand what was happening to him, and it scared him; so, he tried to ignore it. He tried to keep playing minor league professional football. He kept trying to go to school, but the symptoms interfered with his life and activities. He started missing practice. He started missing school. Fonda White describes his experience with schizophrenia. He had symptoms of the disease beginning in childhood, but didn't have his first episode of psychosis until he was 25. One night, while he was home alone, paranoia took hold. He turned off all the lights in the house and paced from his patio to his bedroom window, then back again. He walked back and forth for two hours before he called his mother and told her what was happening. White was diagnosed with schizophrenia, a chronic psychiatric disorder that impacts how a person thinks, feels, and behaves. Daniel Lodge, an associate professor of pharmacology at UT Health San Antonio, said schizophrenia has three types of symptoms: positive, negative and cognitive. Positive symptoms are thoughts, behaviors, or sensory perceptions that a person without a psychiatric disorder doesn’t have, he said. People with schizophrenia can experience hallucinations, delusions, and paranoia. Negative symptoms reflect a loss of function and include social withdrawal and isolation, as well as apathy. Cognitive symptoms include disorganized thoughts, difficulty concentrating, inability to complete tasks and memory problems. Lodge’s research team is trying to pinpoint what exactly goes wrong in the nervous system of a person with schizophrenia. This may lead to new treatments, including one that uses stem cells and another that uses gene therapy. "The drugs that we have have been around for 50 plus years, and they haven't changed much, and when they work, they work well, but what we really have to do is come up with an alternative for people they don't work well for," Lodge said. 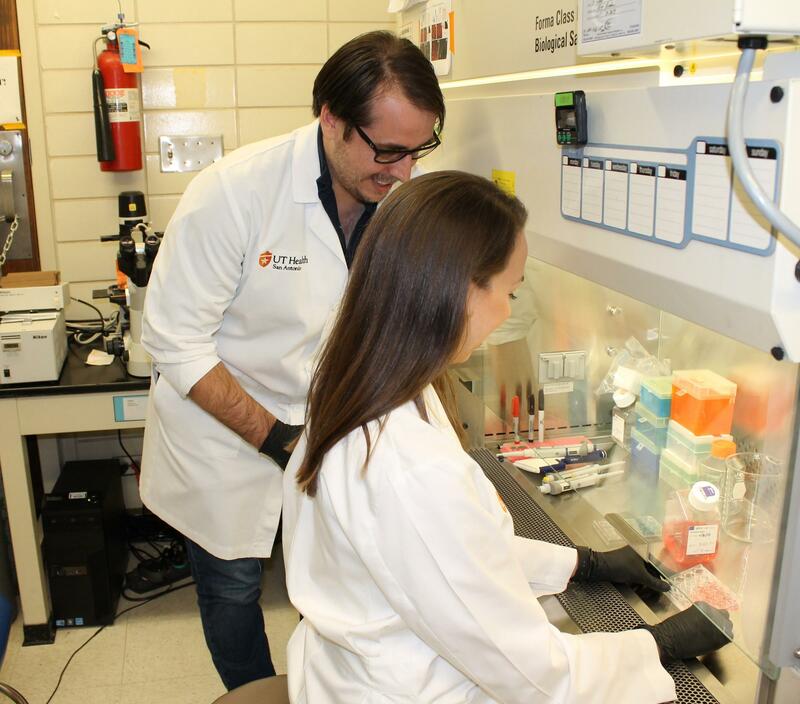 UT Health San Antonio pharmacologist Daniel Lodge works in his lab to try to tease out the neurobiological causes of schizophrenia so he can create new and more effective treatments. It took White four years to find a treatment that eased his symptoms, and he says it was a tough four years. 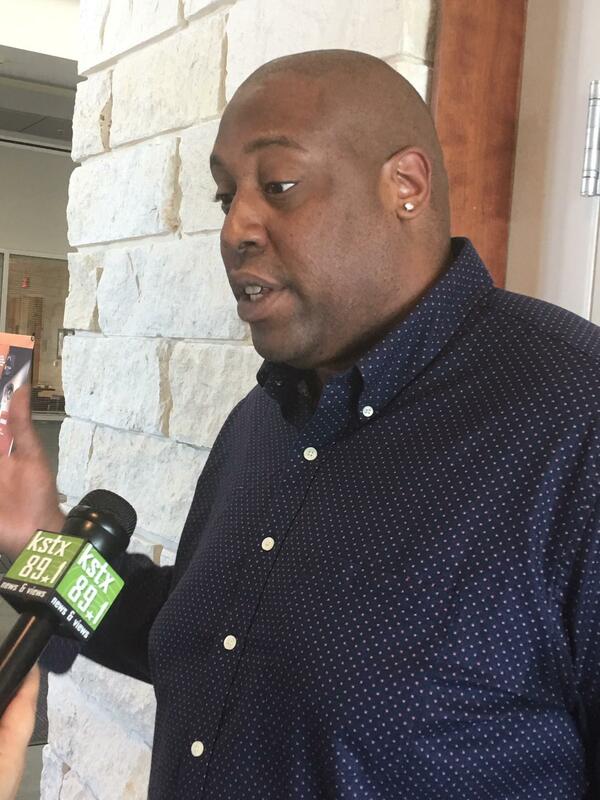 "There were times I threw away my medicine because it made me feel a certain way, but my faith and knowing I had a purpose made me want to keep fighting and keep going," White said. Now, he’s working to erase the stigma around the diagnosis of schizophrenia. "If you go to the grocery store, you'll see pink ribbons on everything, and it's to support breast cancer research, but you never hear anything about support for research for schizophrenia, and there's no reason they should be any different. They both have a biological basis," Lodge said. When White was a boy, he dreamed about having a long, illustrious career in the NFL. Now his goals are different. "I want people to say that, ‘Because of you, I didn't give up. You inspired me to keep going when I was in a dark place,’ and I just want people to know you can get through it," he said. According to the World Health Organization, more than 21 million people around the world have been diagnosed with schizophrenia. World Aids Day is Dec. 1, and San Antonio is marking the one year anniversary of its participation in an international program to get people tested, diagnosed, and treated for the disease.